Definition at line 102 of file audioengine_fmod.h. Definition at line 452 of file audioengine_fmod.cpp. Definition at line 457 of file audioengine_fmod.cpp. Definition at line 568 of file audioengine_fmod.cpp. References llendl, llwarns, mChannelID, LLAudioChannel::mCurrentBufferp, and NULL. Definition at line 624 of file audioengine_fmod.cpp. Definition at line 587 of file audioengine_fmod.cpp. References FALSE, LLAudioChannel::getSource(), llendl, llwarns, mChannelID, LLAudioSource::setPlayedOnce(), and TRUE. Definition at line 603 of file audioengine_fmod.cpp. References LLAudioBuffer::getLength(), llendl, llwarns, mChannelID, LLAudioChannel::mCurrentBufferp, and play(). Definition at line 511 of file audioengine_fmod.cpp. References FALSE, LLAudioSource::getPositionGlobal(), LLAudioSource::getVelocity(), LLAudioSource::isAmbient(), llendl, llwarns, mChannelID, LLAudioChannel::mCurrentBufferp, LLAudioChannel::mCurrentSourcep, LLVector3::mV, LLAudioBufferFMOD::set3DMode(), LLVector3::setVec(), and TRUE. Definition at line 463 of file audioengine_fmod.cpp. References FALSE, LLAudioSource::getCurrentBuffer(), LLAudioSource::getGain(), LLAudioBufferFMOD::getSample(), LLAudioSource::isLoop(), llendl, llerrs, llround(), mChannelID, LLAudioChannel::mCurrentSourcep, TRUE, and LLAudioChannel::updateBuffer(). Definition at line 547 of file audioengine_fmod.cpp. References mChannelID, mLastSamplePos, LLAudioChannel::mLoopedThisFrame, and TRUE. Definition at line 119 of file audioengine_fmod.h. Referenced by cleanup(), isPlaying(), play(), playSynced(), update3DPosition(), updateBuffer(), and updateLoop(). 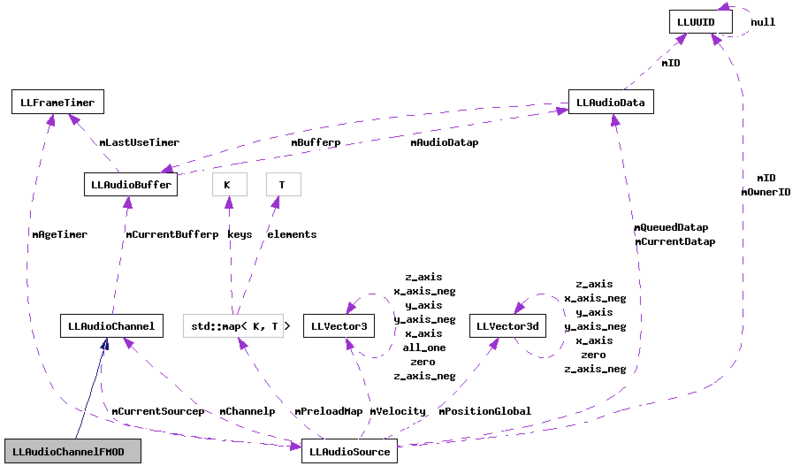 Definition at line 120 of file audioengine_fmod.h.